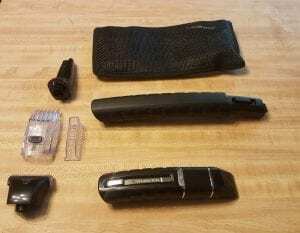 I am excited to do this review, as Remington is one of the big guns in the shaving industry. I am curious to see their take on a back shaver, as this is a body groomer slash back shaver. Remington has a pretty big name in the world of shaving, Remington is a household name, after all, and should deliver the good, with a pleasant shave. These big names sometimes let you down but there is only one way to find out…so let’s get grooming with the Remington BHT600 Extendable Body and Back Groomer. 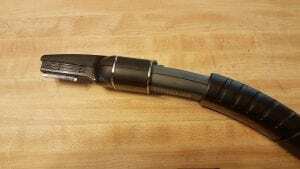 What Is The Remington BHT600? The Remington Extendable Body & Back Groomer BHT600 is just as the name applies…a body and back groomer. This is unique as most body groomers as solely focused on just dealing with body grooming, and forgetting the back altogether. Not so here and thankfully so… I don’t like when they forget about the back. This is designed to handle any hair south of the neckline.As stated on their packaging box “The Most Versatile Body Groomer”. I would agree with them on the fact they give you plenty of different choices as far as attachment and positions of these head attachment. This is a rechargeable groomer designed for options. From the many different attachments to grooming in the shower or just grooming dry. As this is pretty versatile. 1 – Detail Comb – This is adjustable up to a total of nine settings, from 1 (1/8″) to 9 (1/2 “) The width of this is 1 1/8″ wide. 1 – Vertical Trimmer Attachment – The length of the cutting area for this is 1 3/8″ wide. 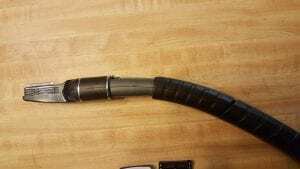 1 – Foil Shaver Attachment – This measures 1 7/8 inches wide. We got a few various lengths to go through with this groomer as it is very adjustable in length. The standard length on this unit is 6 7/8″, but by just pressing a button on the front of this device you are able to effectively extend this to a solid 9″. It doesn’t end there, with an additional purchase you can even extend your reach more. How much more? Well…I get a measurement of 16 inches from tip to end, with the Detail Trimmer Attachment. But with the Vertical Comb head attachment, I get a 17 1/4″ length. With the Foil Shaver attached I get 6 7/8 to a maximum of 15 3/4 with the Extension Handle. With the three different head attachments, an important note here is that they can be also attached two ways each. As either facing the front of the unit or facing the back of the unit when attaching either of the different grooming heads. This gives you options and I applaud this ability in this groomer. 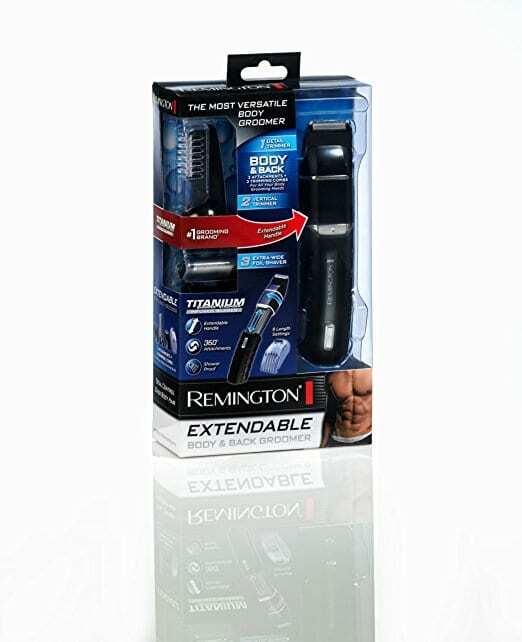 As the Remington BHT600 is highly adjustable depending on what you are shaving. Initial charging of the unit takes a whopping 14-16 hours before using. This is to increase the life of your battery. This is really quite long and kind of a negative in my book. Regular charge time on this Remington as stated on Remington website is a 90-minute charge for a 40-minute runtime. How Does The Extendable Body & Back Groomer Work? Problems with the length of this shaver. While the handle of this groomer does extend, it is not long enough in itself to allow for proper length to shave a back. Having to additionally purchase a handle extension (while relatively cheap) it still should come with this groomer. 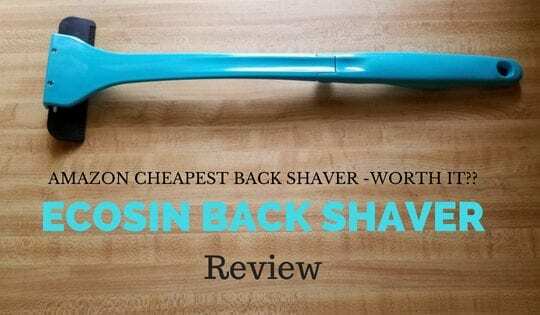 I wonder how many people buy this looking to shave their back and without buying the extension handle, get this and are frustrated with not being able to adequately shave their entire back. I couldn’t shave my back with this groomer if I didn’t buy the extension handle. The simple version: It trims back hair fast with the Vertical or Detail head attachment but the Foil Shaver attachment worked poorly for me. Okay with that revealed, let’s get into a little more detailed. For the initial shaving my back, I went with the Vertical Trimmer attachment. I quickly began to like this attachment because it effortlessly and efficiently cut through back hair. Leaving 1 3/8 wide swaths of stubbled skin. 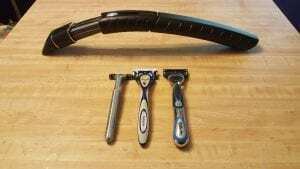 Using this attachment won’t give you a smooth shave. This attachment is meant for trimming down the initial length so the Foil Shaver attachment can trim the hair down to smooth dolphin skin. But…as much as I liked the Vertical Trimmer attachment, I equally didn’t like the Foil Shaver attachment. It could hear it working but it didn’t work effectively and I had to make multiple passes with it and it still didn’t’ get all the stubble. Ohhhh…how disappointing. You would think a company like Remington would have the foil thing down. Nope…not on this unit. at least from my own experience using it. The Detail Trimmer head works pretty well, as well and I was happy with its performance. I love the Vertical Trimmer head attachment for ridding your back of hair. A great design that works well. An extendable handle on the unit. The option to buy another separate attachment to basically double the reach. Waterproof – Yep, you can use it in the shower or bath. With the quite pronounced curve of the handle, you are able to attach the different heads (3) two ways to better hit any angle. (see below pictures) Either facing up or facing down, I love the option of choosing yourself and the ability of the groomer to simple switch if the need arises. 3 different head attachments, each serving a different purpose. Detail comb, Vertical Trimmer, and Detail Trimmer. Adjustable settings on two of the head attachments. Cool mesh travel case to neatly hold all your attachments for easy storage or for travel. Titanium infused blades for a long sharp life. The Vertical Trimmer is a real pleasure to use shaving your back. Really mows down the back hair, quickly and easily. Highly adjustable: both as providing different shaving heads and attaching these heads to different positions. Two-year warranty included. I love long warranties gives a little piece of mind on the purchase. Instruction pamphlet included, this is always a plus. Two separate different combs for the different attachments. Easy, simple and fast to switch between the different attachments. Able to use this device anywhere below the neckline. I love the safety feature on this that doesn’t allow you to turn the unit on when charging. This is for your protection and safety. Kodus. 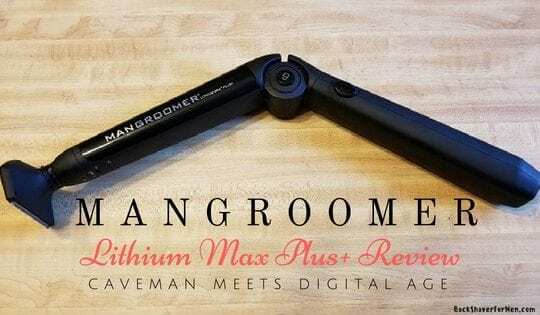 Lightweight – Both the Body and Back Groomer and the optional extension handle. 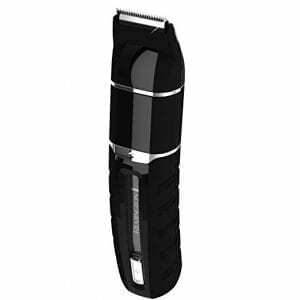 Forget about a close shave with this unit. The Foil Shaver attachment didn’t remove in multiple passes. Even going over the area ten times it didn’t remove all the hair and leave a smooth surface. Fail. Have read some reviews of this unit died after a year of use. (So be sure to fill out your two-year warranty!) 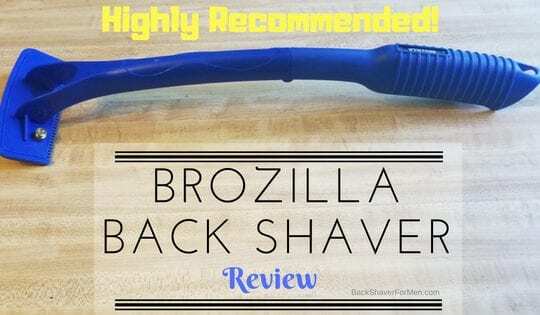 I haven’t had my Remington long enough to honestly speak about the longevity of this shaver but thought I should mention the other reviews I have read. Blue charging light does not turn off when fully charged. This makes it damn hard to know the battery is full. I just charge it overnight to be sure. Have to buy another separate attachment (The Extendable Handle) if you want the most possible reach. Why doesn’t this just come with the shaver? Without buying the extra Extendable Handle you’re going to have to be really flexible to get your entire back. I highly recommend you buy the Extendable Handle if you’re going to use this on your back. I don’t think the foil head attachment works that great. Have to take multiple passes to get the area smooth. Not a fan. To Get a smooth back using this method, you’re going to have to exert more work and allow more time to get a good close shave. As the need for first going over the area with either the Detail Trimmer or the Vertical Trimmer then going over to the foil to get a smoother shave by removing the stubble. A bit awkward when shaving your back in some angles but it will get the whole back with the extra Extension Handle purchase. Dropping this seems to really do a number on this unit. Avoid this if you can help it. Long, long, long initial charge time. Before using the Remington Groomer you must initially charge the unit for 14-16 hours. This seems a little excessive. Doesn’t come with any oil in which to properly lubricate it with. A must to keep it working optimally. The optional separately sold Extendable Handle doesn’t fit inside the mesh storage bag. Super bummer….really? So much for keeping everything together, nice and neat. Back hair seems to accumulate on the front side of the Vertical Comb, this doesn’t impede the groomer but I have to regularly clean the front of it by just picking the hair up from the front of the shaver. The hair doesn’t just fall away, not a deal breaker by no means but worthy of mentioning. Have reached out to this company many times and haven’t heard back from them. As always check out my page, Tips On Shaving Your Back for even more tips. 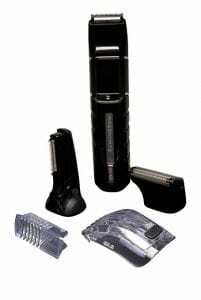 As always it a good idea to allows read the instruction manual to fully understand all the workings of this shaver. Make sure you charge the unit to the recommended initial first charge to the recommended 14-16 hours before using for optimal performance. Cleaning your Remington BHT 600 will help ensure long life and is highly recommend that you clean it regularly. As this shaver can be clean by rinsing it with water but it should also be oiled after this fact. When first using this unit, it’s a good practice to begin with the longest setting, then adjust as you need to. But after using this a couple of times you will understand the length settings enough to gauge which is best for you. Example of the different attachment angles. Vertical Trimmer pointing up. Vertical Trimmer pointing down. This gives you a lot of options. I’m impressed as well as disappointed with the Remington BHT600 Extendable Body & Back Groomer. Let’s start with the positives, okay? The Vertical Trimmer attachment works damn good and really impressed me. I’ve never experienced this type of shaver head, but it worked quite well. If you are looking to just trim your back hair this might be a really good purchase. The other thing that impressed me was the adjustability of this shaver. From the multiple heads to the positioning of the attachments. Negatives about this left me feeling let down and overall dissatisfied with the Remington. The foil shaver attachment didn’t work well for me and after numerous passes still left stubble. I have used other foil shavers on my back and they worked well, but not this one. 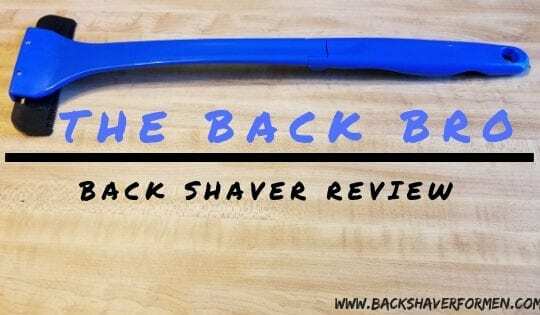 A big strike against this back shaver as I demand a smooth back from a back shaver and anything else is not good enough. Maybe this isn’t a deal breaker for you as some men prefer to have just stubble to avoid the itchiness of shaving your back hair smooth. I have been unimpressed with the well-known name brand back shavers and the Remington BHT600 is unimpressive. Lesser known named back shaver take the household name back shavers to school and take their lunch money. 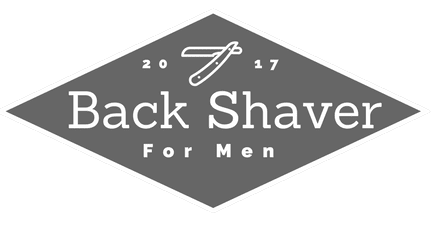 I recommend you take a look at my page, What Is The Best Back Shaver for the best back shavers that I have used. Piss poor performance with Foil Shaver. Great performance with the Vertical Trimmer. Never really clogged with hair.